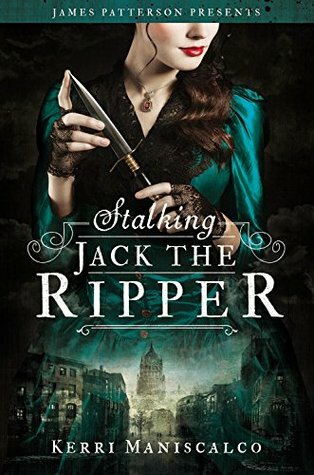 Presented by James Patterson's new children's imprint, this deliciously creepy horror novel has a storyline inspired by the Ripper murders and an unexpected, blood-chilling conclusion... Seventeen-year-old Audrey Rose Wadsworth was born a lord's daughter, with a life of wealth and privilege stretched out before her. But between the social teas and silk dress fittings, she l Presented by James Patterson's new children's imprint, this deliciously creepy horror novel has a storyline inspired by the Ripper murders and an unexpected, blood-chilling conclusion... Seventeen-year-old Audrey Rose Wadsworth was born a lord's daughter, with a life of wealth and privilege stretched out before her. But between the social teas and silk dress fittings, she leads a forbidden secret life. Against her stern father's wishes and society's expectations, Audrey often slips away to her uncle's laboratory to study the gruesome practice of forensic medicine. When her work on a string of savagely killed corpses drags Audrey into the investigation of a serial murderer, her search for answers brings her close to her own sheltered world. The story's shocking twists and turns, augmented with real, sinister period photos, will make this dazzling, #1 New York Times bestselling debut from author Kerri Maniscalco impossible to forget.